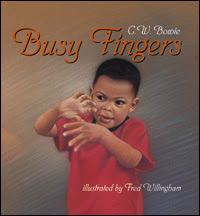 Mary Bowman-Kruhm​ and I got a shoutout for our picture books, Busy Toes & the companion book, Busy Fingers, on this blog - plus the author, Kerry Aradhya, added activity ideas to go along with them. 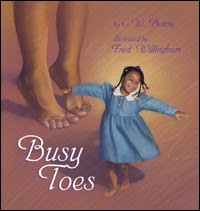 Click here to get to Picture Books & Pirouetts - A celebration of Dance, Movement, and Children's Literature. Ferris, Jeri Chase. Noah Webster and his Words. Illus. by Vincent X Kirsch. 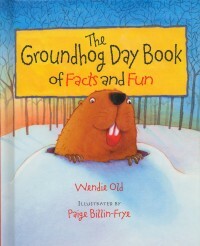 Boston: Houghton Mifflin Books for Children, 2012. This is a picture book biography of the man whose American spelling book was instrumental in making American spelling different from British spelling. Ferris cleverly inserts definitions of words onto every page, which continually reminds the reader that he created the still-famous Webster’s Dictionary and she connects his American Speller with major events in American history. 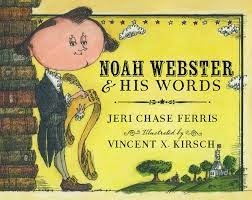 Although most picture book biographies concentrate on one event in a person’s life, Ferris includes almost Webster’s complete life and offers additional information with a timeline, more facts about Webster, plus a bibliography. 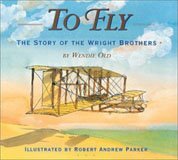 A very good example of a picture book biography. 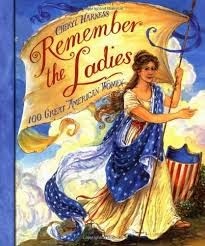 More Nonfiction Monday selections can be found here. Click on over to check them out. 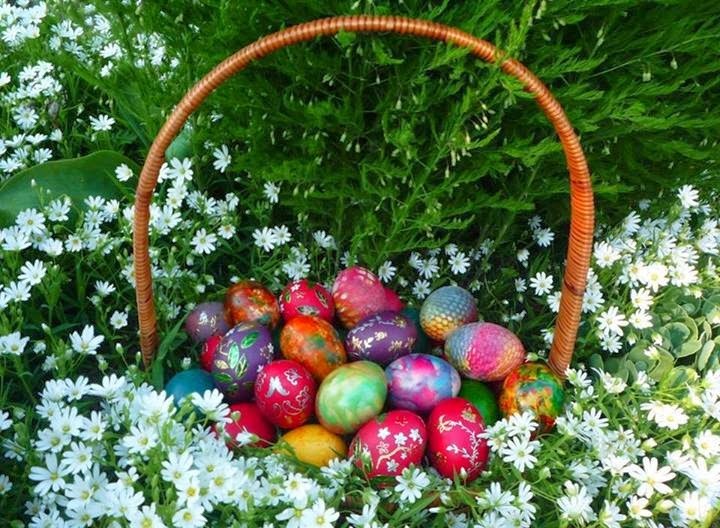 Did you find a basket of beautiful eggs today? I decided to skip the egg coloring and go straight to the deviled eggs. YUM. 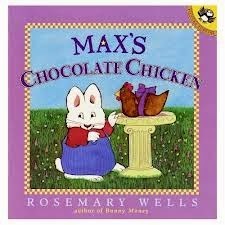 One of my favorite Easter books is Max's Chocolate Chicken by Rosemary Wells. 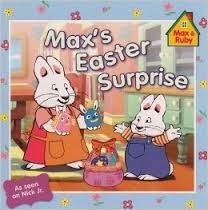 I see that she's come out with others - Max's Easter Surprise and Max and Ruby Celebrate Easter. 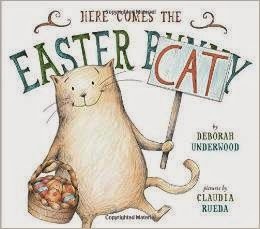 And my new favorite is Here Comes the Easter Cat by Deborah Underwood. 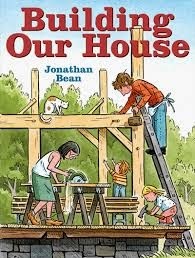 These and some other Easter books are discussed (with pictures) on the Picture Book Builders blog. Go check it out. Fun. Be sure to visit the Children's publishing area several times because different people will be signing. Sometimes books are given out free and sometimes at a discount. Other goodies are available at the booths from chocolate to pens and pencils to really nice stuff. I papered my library and my child's room with posters from ALA.
Go through the events catalogue (it's huge) and write down the times of signings and lectures and other events and only carry this list with you - to make sure you get to all of the things that interest you. Meet online friends for lunch or dinner. Be sure to ride the cable car - you'll get a great tour of San Francisco that way.